The Shadow Coffee Table is a hand-made contemporary piece playing with the concept of optical illusion with traditional crafted materials. 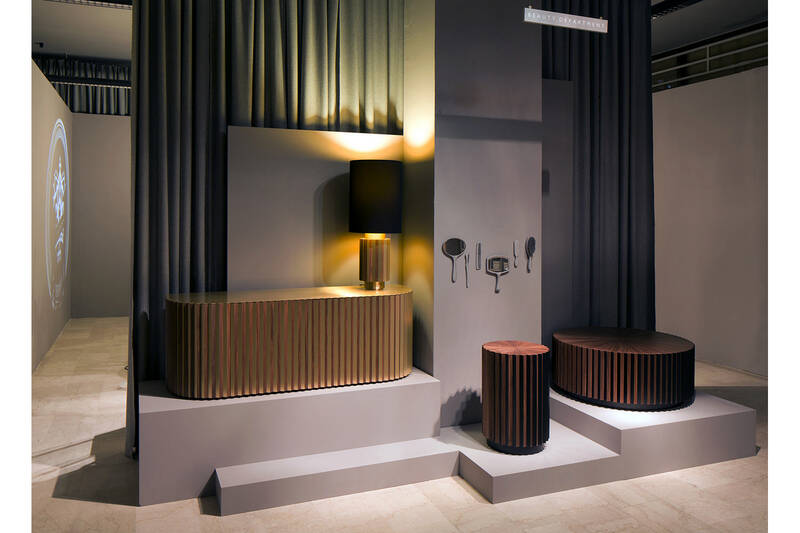 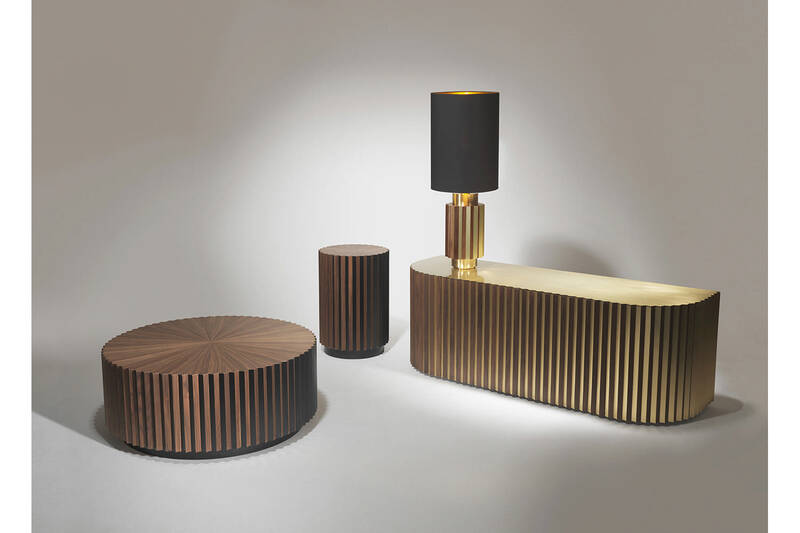 A series of triangular facets run vertically down the sides of the table with one side in American walnut and the other in a black inlay or brushed brass. From one angle the side table appears to be all wood and from the other all black depending on your viewpoint. 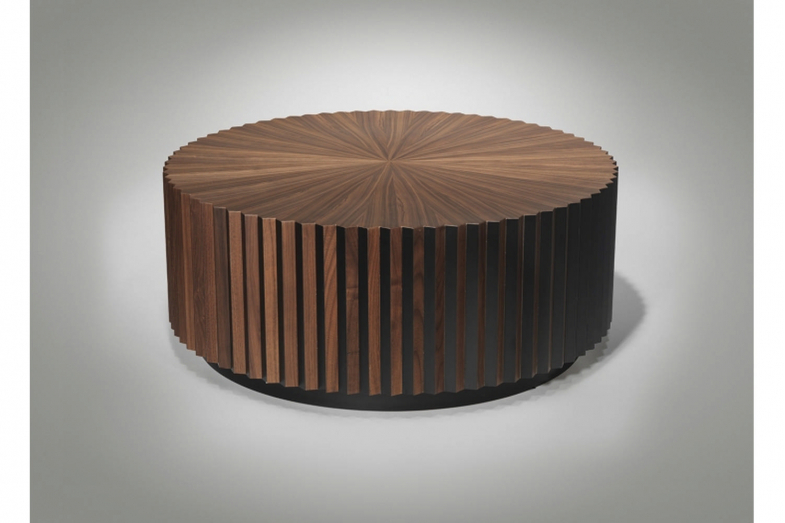 The top has a star-shaped pattern using hand-laid walnut veneer marquetry.